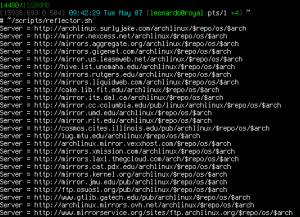 A pure bash alternative to the python reflector, using curl, xargs, and sort for ranking Arch Linux mirrors. Nice and simple. Short and sweet.